The forecasting of exchange rates has become a challenging area of research that has attracted many researchers over recent years. 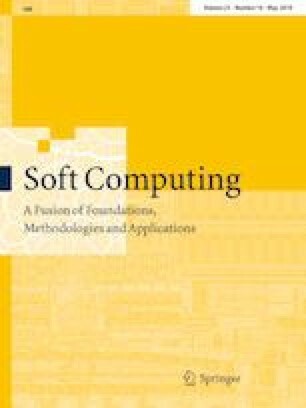 This work presents a sliding-window metaheuristic optimization-based forecast (SMOF) system for one-step ahead forecasting. The proposed system is a graphical user interface, which is developed in the MATLAB environment and functions as a stand-alone application. The system integrates the novel firefly algorithm (FA), metaheuristic (Meta) intelligence, and least squares support vector regression (LSSVR), namely MetaFA-LSSVR, with a sliding-window approach. The MetaFA automatically tunes the hyperparameters of the LSSVR to construct an optimal sliding-window LSSVR prediction model. The optimization effectiveness of the MetaFA is verified using ten benchmark functions. Two case studies on the daily Canadian dollar-USD exchange rate (CAN/USD) and the 4-h closing EUR-USD rates (EUR/USD) were used to confirm the performance of the system, in which the mean absolute percentage errors are 0.2532% and 0.169%, respectively. The forecast system has an 89.8–99.7% greater predictive accuracy than prior work when applied to the currency pair CAN/USD. With respect to the EUR/USD exchange rate, the error rates obtained using the proposed system were 20.8–23.9% better than those obtained by the baseline sliding-window LSSVR model. Therefore, the SMOF system is potentially useful for decision-makers in financial markets. This study was funded by Ministry of Science and Technology, Taiwan, under the grant number: 107-2221-E-011-035-MY3.